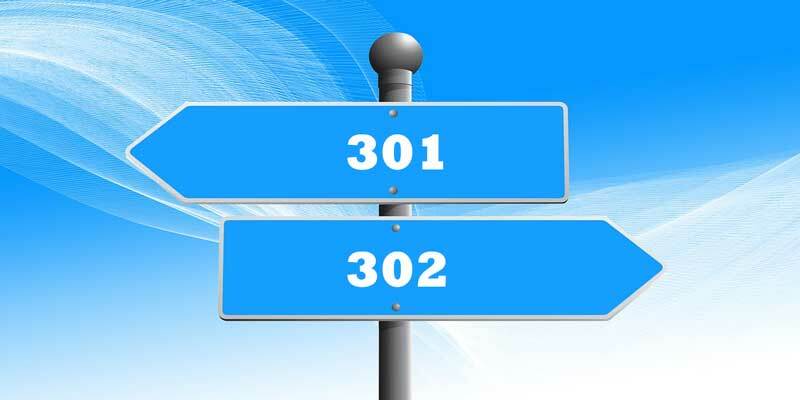 SEO Advice: Is a 301 or a 302 Redirect Better? Posted on April 10, 2018 May 17, 2018 by Rahim Karsan, in SEO. Should I use a 301 or a 302 redirect? This is an extremely common question, and unfortunately the answer isn’t as clear as you might like. While there is a lot of writing out there about whether a 301 or a 302 redirect is better for your business’s SEO, unfortunately a lot of it is confusing, inaccurate, or outdated. Below you’ll get the latest on the differences between these kinds of redirects, when to use them, and which is right for your SEO strategy. Many people think 301 and 302 redirects work exactly the same way, but actually search engines see them differently. Search engines interpret 301 redirects as a page that has been permanently moved to a new URL, and a 302 redirect as a temporary move. In a nutshell, the search engine has to decide whether to keep the link to the original page in the search results or replace it with the page that is now in the new location. If you use the wrong redirect, the search engine may struggle to get it right, resulting in a loss of traffic to your webpage. When you want to move content from one webpage to another permanently, it’s usually a safe bet that a 301 redirect will be the better choice. This will ensure that search engines know that the URL has been permanently moved to a new location, but that it still has the same content. In addition, a 301 redirect (as well as all 300-level server redirects) will still pass PageRank. If you use Google, you’ll likely have no problems with indexing using either a 301 or a 302 redirect. But Bing recommends using the proper redirect: 301 for content you’ll move permanently and 302 for content that will move temporarily. In addition, if you are optimizing your website for users on another continent, it’s best to stick with permanent redirects for anything you will permanently move, just to be on the safe side. Are 302 Redirects Ever Necessary? If you plan to redirect a URL to content that is identical and know you don’t plan to move the content back to the first URL and want link equity to pass quickly, you should always use a 301 redirect. Overall, this will never cause a problem. Hopefully this post clears up any questions you have about 301 versus 302 redirects. If you have further questions, or to find out other ways to boost traffic to your website, contact Blueprint Internet Marketing at 1.888.533.4886 or [email protected].